I love jigsaw puzzles. This picture is a detailed look at a jigsaw puzzle I did New Year’s weekend. It was 1000 pieces and there were times I thought I couldn’t finish it, the pieces had to missing or they couldn’t possible fit. But they did! I love opening a puzzle box and seeing 500, 1000, 3000 or more little pieces completely mixed up. The beginning of a puzzle is a completely chaotic jumbled mess. It does not appear that any of the pieces can create a complete picture. Yet somehow, the pieces come together! Does this sound familiar? Is this any different from a project? The process to complete a jigsaw puzzle is the same process used in business analysis. A complex jumbled mess of seemingly unrelated pieces comes together to a complete picture when you follow these steps and they parallel business analysis! Avid puzzlers share this rule. Find the edge pieces first. Start to sort all the jumbled pieces and look for the pieces with the straight edges. Once you have the straight edges, start to piece them together to form a frame. The frame creates the context for the puzzle, how tall or how wide the puzzle area is. As this is happening, the puzzler has a picture of the solution. Once the puzzle boundary, the scope, is defined, a puzzler sets to work on grouping pieces. This grouping can be like colors or pieces with words. Breaking down the pieces into groupings by color allows focus on particular sections of the puzzle. This is my next step in analysis, identify the high level processes and focus on understanding those. Decompose those processes down to smaller processes, putting more pieces of the analysis puzzle together. As you focus on the processes start to think about the data attached to that process. Is it existing data? Do you know what system the data is stored in? Can the user change the data in the user interface while completing a business process? More and more information is discovered as we elicit information about the processes and related data. We are starting to define what is needed! After you have the context outline and similar colors grouped together, you have a clearer picture for what is missing in the puzzle. The pieces left over may appear very similar. You can group the remaining pieces which may all be the same color, into different categorization. What are the shapes of the pieces? How many have multiple edges. Patterns emerge. Those same patterns exist in analysis. What are the rules for the processes and/or data? What are the user interface requirements? How does one process connect to the next? By breaking down this effort into smaller chucks or work it becomes manageable. It also always to cross check our work and make sure we aren’t missing something. Perhaps a piece that seemed to fit when we first started in fact doesn’t and that that piece needs to be moved. Knowing the business rules surrounding the processes and data can change our focus and fine-tune our requirements as we piece together the puzzle. This step of a puzzle can be the most frustrating and the most rewarding for me. I look at the handful of pieces left and they don’t seem to fit any colors or words and their shapes haven’t helped place them. These are trick pieces. They can be grouped based on the very specific shapes. I look at them and I think. “There is no way that those pieces fit into this puzzle.” This is the experiment phase. I try one piece after another to find the one that fits for each missing area. Analysis has that same step. I may have the workflow process documented, the business rules accounted for and then I need to put in the last pieces and I walk through the user experience in terms of a use case diagram. It’s this final try it and see if I have everything covered. Without fail, having a different try it and make sure it fits walkthrough will uncover a different rule, process, or piece of data I may not have thought of and is missing in my requirements. In addition to my work, I need to present the requirements to my stakeholders and make sure that they understand the puzzle I am putting together. Do they see how the problem is being described to know how to build the final pieces of the puzzle? This is validation, prototyping, other techniques to make sure we can fit the final pieces in place and build a solution. The end of the puzzle is a beautiful moment for a puzzler. It’s the final 10 pieces, then the final 5 pieces, then the last piece! 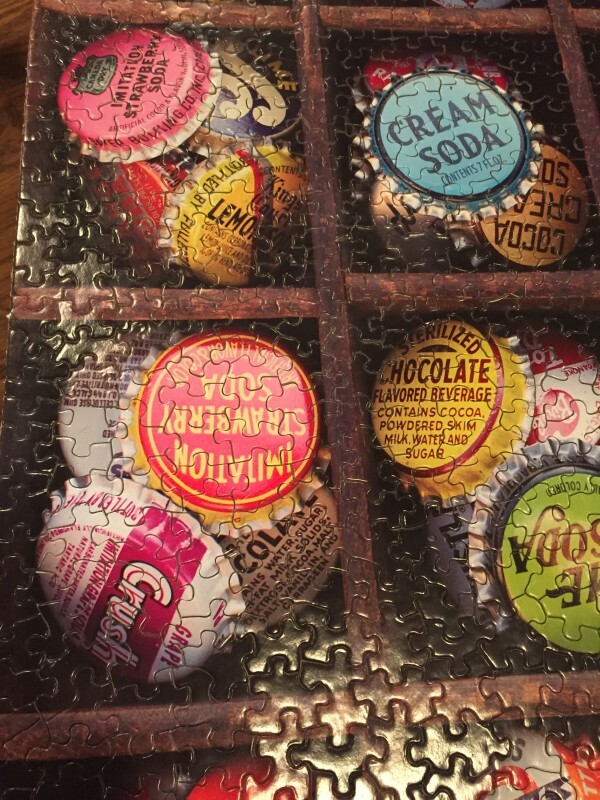 The piece fits perfectly into the puzzle and the picture is complete. All the hours of analysis and ‘puzzling’ end with a much desired step back to look and admire what has been accomplished. For a business analyst, having a project go to production and to see the users interacting with the solution or working through a new process is that same step back and admiring look that a puzzler has. The beginning of the process seemed daunting and impossible, perhaps unpleasant to tackle at first. Breaking the process down into steps creates sanity and allows a BA to manage whatever work is ahead. Skipping any of these steps will delay the puzzle completion and create more anxiety and frustration, Work the analysis process because it works! Happy puzzling!